Native Dakota people once performed ceremonies on this hill overlooking the junction of the Mississippi and Minnesota Rivers in the Twin Cities suburb of Mendota Heights. Today, people come to enjoy the stunning views of Fort Snelling State Park and the downtown Minneapolis skyline. When protests stalled plans for housing on 25 acres of the historic hill, TPL stepped in to protect 8.5 acres on the most prominent part of the property. 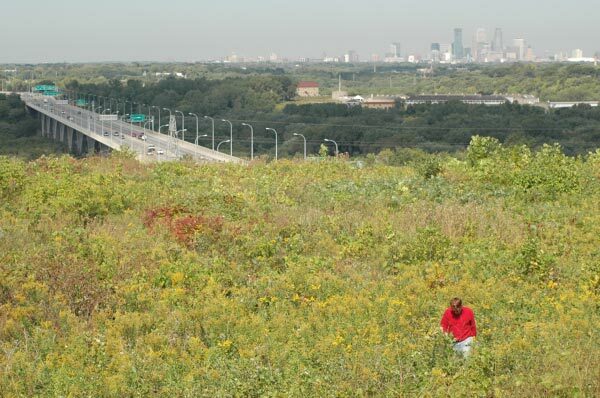 The conservation of Pilot Knob is a result of a collaborative effort by the City, the Minnesota Department of Natural Resources (DNR), Dakota County, The Trust for Public Land, and the Pilot Knob Preservation Association. To learn more about this project, check out this article.